I come from a frugal family- “Make Do and Mend” and all that! So this spring when my daughter came home one day with her boots all split, I knew that I didn’t want to buy another set for only a few weeks of wear. 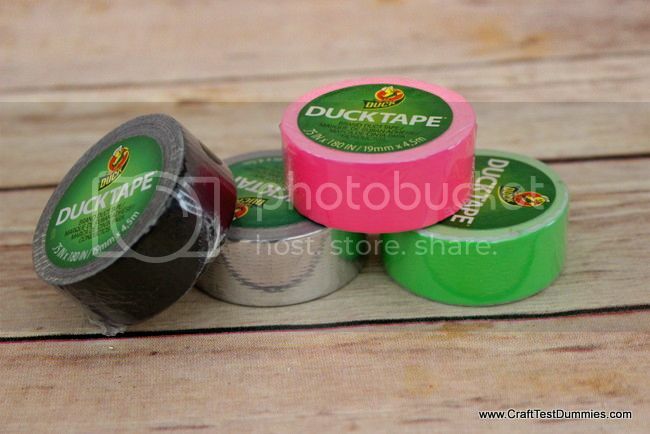 Enter Duck Tape® Minis to save the day! And you know what? It was EASY. And only took 20 minutes and TWO ROLLS of Duck Tape®! I chose the pink and green for spring! I started off by cleaning the boots & examining that split. It was massive. I thought for sure these boots were a goner! I started off by just repairing the split with some standard-width Duck Tape®. That fixed the split. But that’s not quite good enough, is it? We also want some CUTE. 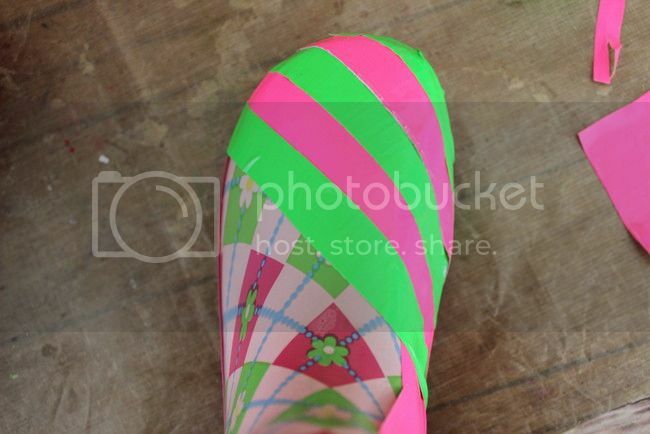 So I started laying down strips of Duck Tape® Minis, alternating green and pink. I stared over the toe and worked my way up. I love the thinner width- it was SO much easier to work with on the curved areas! Really, this stuff is brilliant. Once I got up so far over the instep, I worked the strips around the part that goes up the leg. Where the ends were messy in the front, I added a vertical stripe to hide them! Clever and stylish, I tell you. I decided to not to worry too much about the bottom edge as I was working- I left the ends ragged. 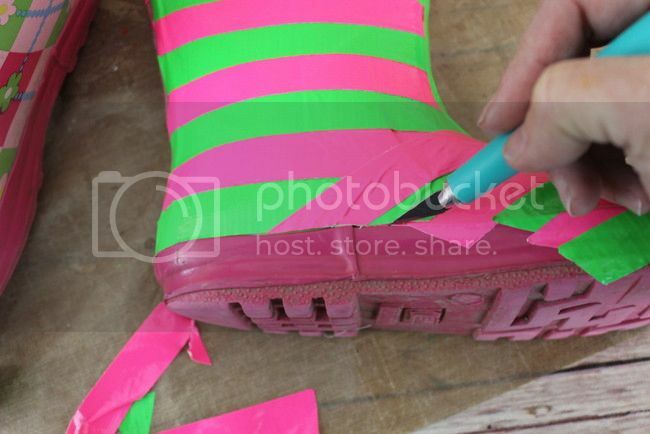 Then, once I was done covering the whole boot, I went around the edge CAREFULLY with a *sharp* craft knife, cutting delicately along the edge of the rubber sole. Voila. Clean edge! So now my daughter has a “new” set of boots that will last the remainder of the wet season, and for under FIVE BUCKS. Seriously, I feel like I won the lottery! 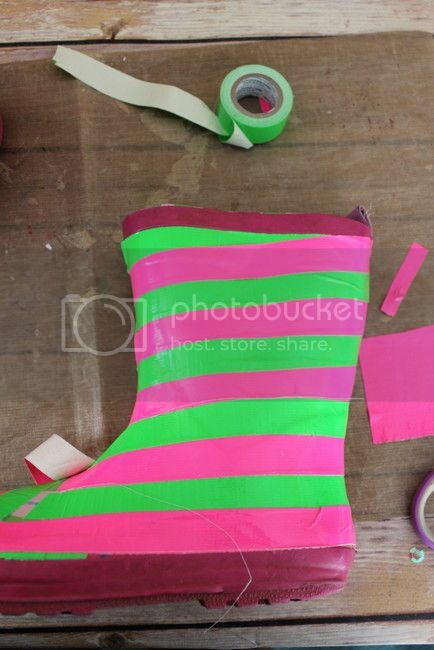 I love being thrifty- could you rescue and re-do with Duck Tape®? 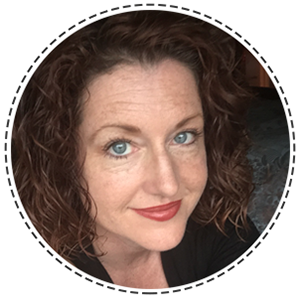 I’d love to hear your thrifty solutions! 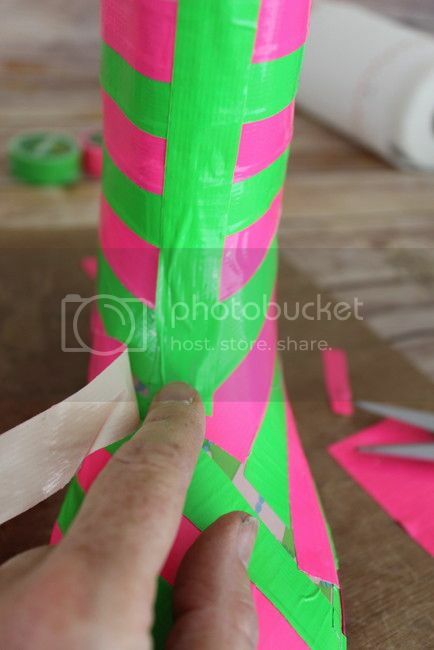 For more great ideas, make sure you check out Duck Tape® on Pinterest, on Facebook, and on Twitter too! And if you need to learn more, you can find Duck Tape here! So cute! 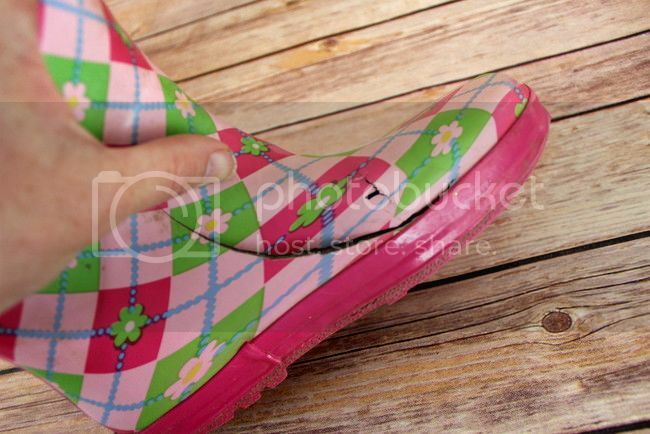 I love these stripey-d rain boots! These are so adorable! Cuter than the ones I’ve seen at the store recently for sure! 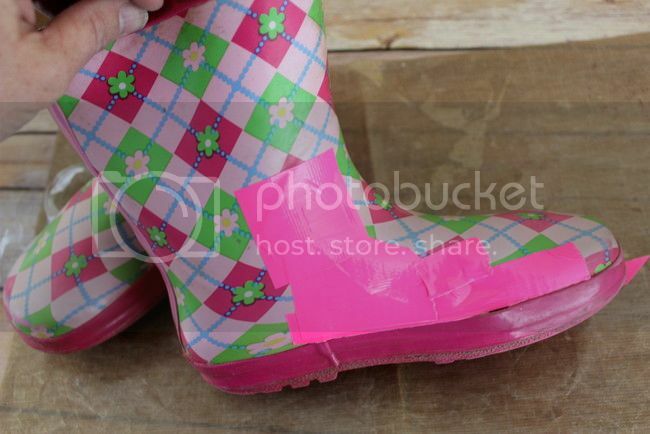 i have tons of duck tape from making hula hoops, im going to do this with my ugly black matte rain boots from walmart….how well does this hold up? What a great idea! 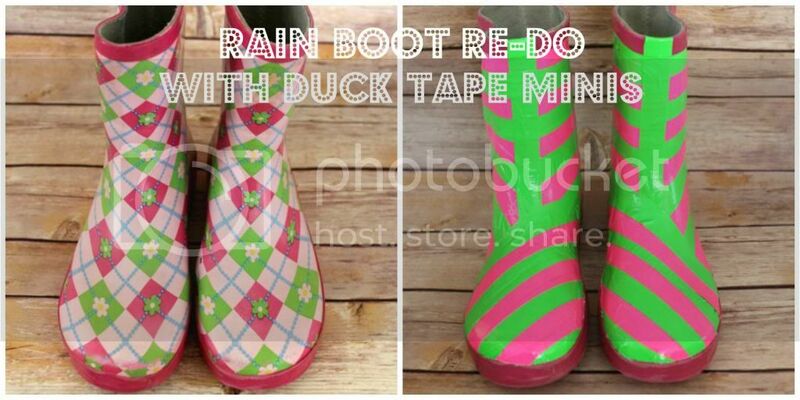 Love the colors and I know Duck Tape is awesome and holds up well!